Your search for a Card to shop anywhere ends here! Download the Pockets app to shop, recharge, send money and do a lot more instantly. What's in store for me? 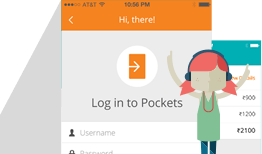 You can download the Pockets app and create your wallet instantly – it’s available everywhere you go – right in your pocket. Fund it instantly using any bank debit card or Internet Banking and it's ready for use. With the VISA-powered Pockets wallet, you can shop online at any Indian website or get a Pockets Physical Card to shop at stores. You can also pay at stores directly from your smartphone using the mVisa or touch & pay feature on Pockets. With Pockets bank e-wallet, you can transfer money not only to bank accounts, mobile number, email id, Whatsapp contacts, Google+ or Facebook ID but even tap and pay your friends. What’s more, you can also request money from friends! Yes, we do have goodies for your Pockets! 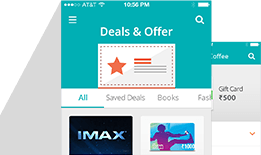 A bundle of specially chosen deals from brands you love are available right in this app. There’s so much more you can do with Pockets – recharge your mobile balance, book movie tickets, pay bills, gift physical/e-vouchers and split expenses with friends. 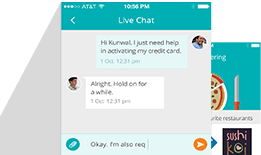 With chat features built into the app, customer support is just a tap away. You can also call us or email us for assistance. It lets you get started instantly. To get started with Pockets, all you have to do is download the app, enter your basic details, verify your mobile number and create a user ID & password of your choice. What's more? 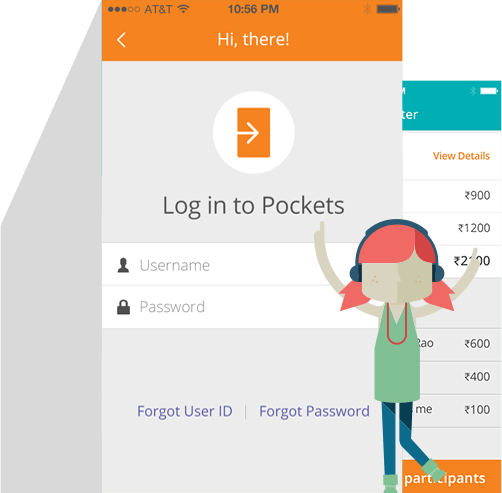 Pockets is not just for ICICI Bank customers. 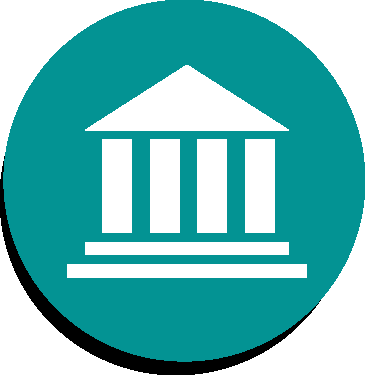 Even customers of any other bank can download and use it instantly. In case you are an existing ICICI Bank customer, your internet banking user ID & password is all you need to get started. You can either download and login to Pockets app on you mobile or simply login to Internet Banking, go to 'My Accounts', select Pockets and create your wallet instantly. Tap and Pay friends or send money to any mobile number or e-mail ID for free! 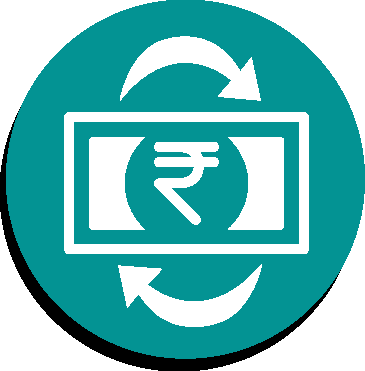 Writing a cheque is so last-gen. With Pockets, you can send money to any mobile number or e-mail ID, your contacts on Google+, WhatsApp and of course, to bank accounts. 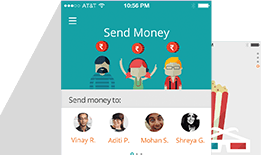 And that's not all, you can even tap your phone against your friend's to send or receive money. 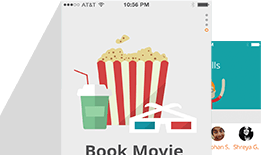 It brings you closer to movies, recharges & more. 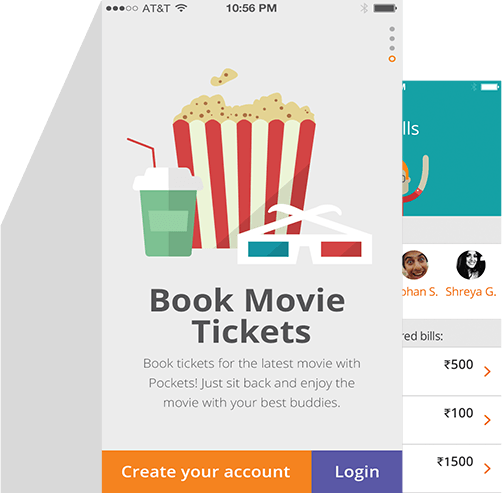 Pockets has so many amazing features in store – it allows you to book movie tickets, recharge your mobile as well as gift physical/e-vouchers to friends. And apart from helping you pay electricity, telephone and DTH bills, it aids you to keep a tab on shared expenses with the help of bill splitter. All this, with the comfort and peace of mind that this one’s a secure app from ICICI Bank. It gives you the freedom to shop as you like. 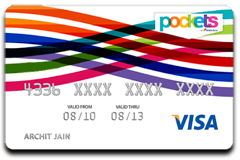 Pockets wallet is powered by VISA, so you can shop on Indian websites. What's more! 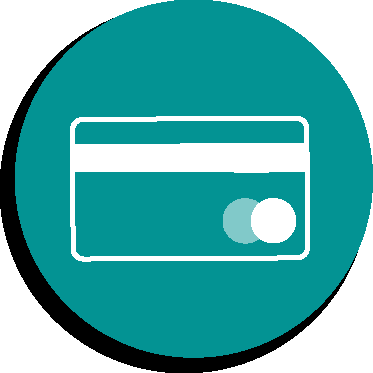 You can also get a Pockets Card to swipe and splurge at your favourite stores, restaurants and even at petrol stations. It brings you some really awesome deals. Pockets is packed with lovely surprises in the form of awesome deals from brands you love – built right into the app. Get a cool deal when you transact on Pockets – whether it is for loading your wallet, paying your bills, recharging your mobile or even simply registering for Pockets. Alternatively, you can browse the whole catalogue of offers and view your saved deals from the ‘Offers’ section. It can be personalised – for You, by You. Add a touch of your personality to your Pockets Digital Bank accounts – choose an image from the options given and select your favourite colours by choosing from one of the vibrant themes. It comes with a helping hand – Instant Chat. While Pockets gives you all the tools to manage your financial life, we understand that you may need a helping hand once in a while. Which is why it comes with a customer service medium, you are most comfortable with – chat. 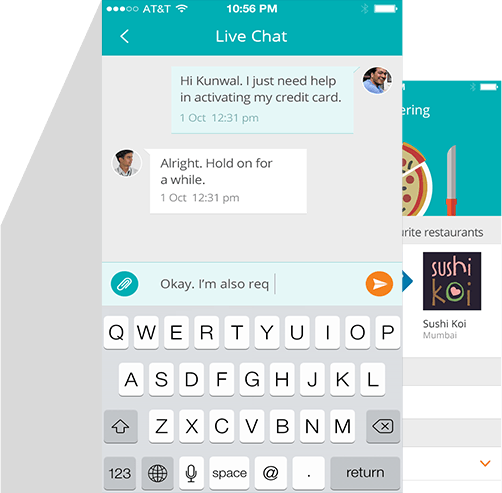 With chat features built right into the app, support is just a tap away. 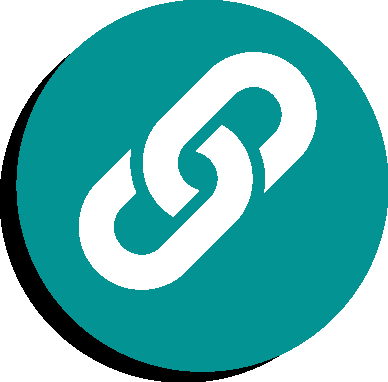 Just type in your query and we will be there to help you instantly. You can also call us or email us for assistance. You can use the touch & pay service at more than 60,000 Merchants. 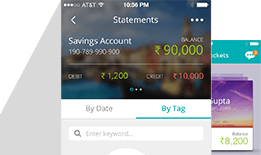 Login to Pockets app and enable your linked ICICI Bank Credit or Debit Card to use 'touch & pay' for quick payments. Add money to Pockets wallet using the internet banking of any bank. Open a Savings Account any time you like. 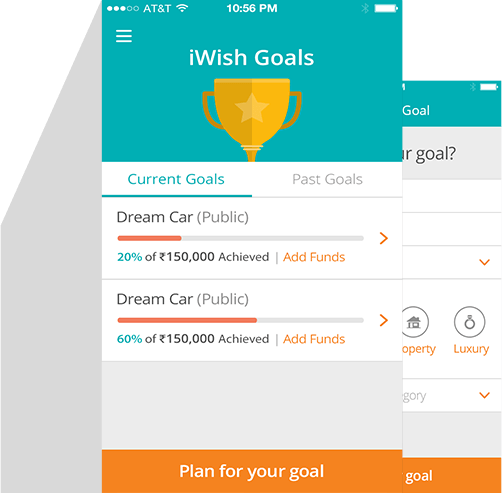 You can 'unlock' advanced features by applying for Pockets savings account - right from the app itself. Keep your necessary documents ready and we will open your Pockets savings account through our super-quick Tab Banking facility. Receive interest on your balances, create deposits or iWish goals, enjoy higher transaction limits and withdraw cash with the Pockets Savings account. Start enjoying the advantages of Pockets e-wallet app now! 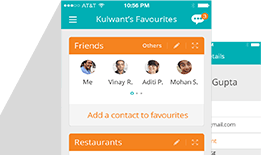 Download Pockets by ICICI Bank, the coolest app for an all-in-one experience.